Dice Necklace | Necklaces – Geek Girl Stuff – Geekery, art, jewelry, and more! Geekery, art, jewelry, and more! 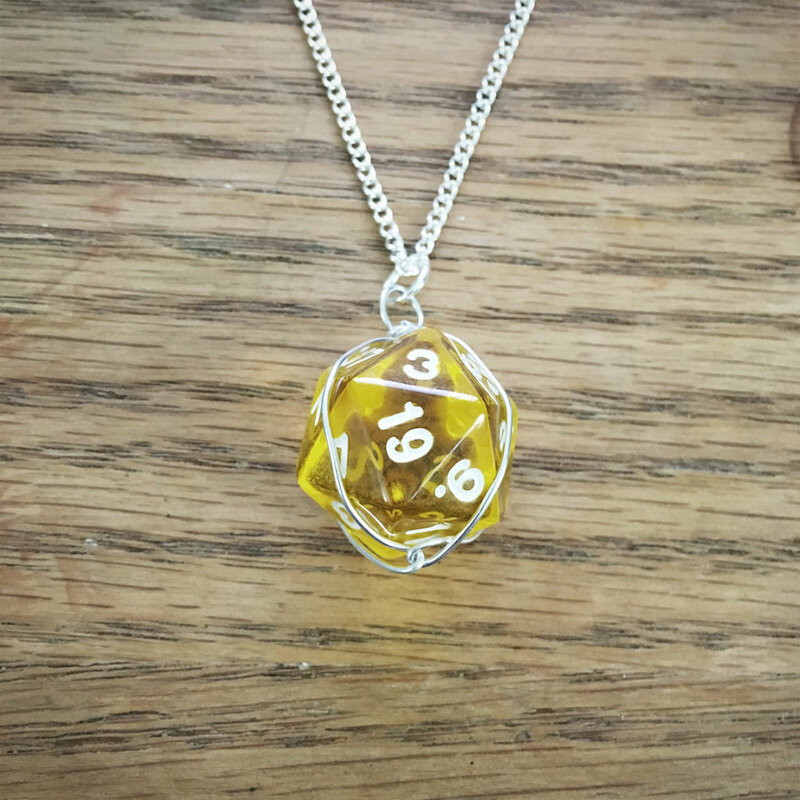 D20 die wire wrapped into a necklace. Perfect for any geeky occasion! Silver plated iron chain which measures 20" and includes a lobster clasp. Copyright © 2019 Geek Girl Stuff. Powered by WordPress. Theme: Ample by ThemeGrill.